Independent & Group Japan Tours Packages in 2019/2020 from Travelbag. A country of extraordinary contrasts, Japan excites as much as it sooths, looks forward whilst retaining a step in the past, blends quirky traits with functional simplicity… In short, it is a land like no other in the world. Whether it’s the pulsating neon lights of Tokyo, the peaceful gardens of Kyoto, the flourish of cherry blossoms, the sight of exquisitely-attired geishas or the snow-dusted peaks of Mt. 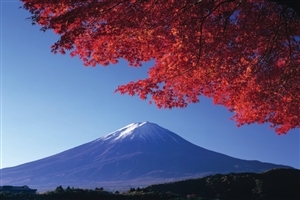 Fuji, Japan conjures countless iconic images. Coupled to a truly unique culture that is woven into a dazzlingly beautiful landscape, a Japan tour has the power to educate, enthral and excite in ways you won’t experience anywhere else, and Travelbag is committed to ensuring you get the most from this intoxicating country. For many, a Japanese adventure begins in the mighty metropolis of Tokyo, a ‘super-city’ that is considered to be the world’s largest. With a cityscape that stretches further than the eye can see, the sheer scale of Tokyo is both daunting and spectacular, the relentless activity and organised chaos a 24 hour staple of this magnificent destination. With fascinating curios to be found around nearly every corner, no amount of time in Tokyo will allow you to fully uncover the treasures awaiting you, but that just adds to the mystique. A tour of Tokyo offers endless possibilities, whether that involves shopping in Shibuya, strolling the gardens of the Imperial Palace, being dazzled by technology in Akhibara, admiring sacred shrines, gazing across the skyline in Roppongi Hills or getting wrapped up in the frenzy of Tsukiji Fish Market. Venture beyond Tokyo and Japan reveals itself as a devastatingly beautiful and naturally splendid country, with a comfortable ride on the Shinkansen ‘Bullet Train’ racing past landscapes of rolling hills, flourishing sakura (cherry blossom), plunging valleys, soaring mountains and dramatic volcanoes, most notably the spectacularly beautiful Mt. Fuji. For those whose image of Japan is that of idyllic, intricately manicured gardens, the ancient imperial city of Kyoto is where fantasy becomes reality. Replete with breathtaking landmarks, including temples, shrines, pagodas and parks, a day spent in Kyoto is an experience that will stay with you forever. Further south, a necessary stop on any Japan tour is Hiroshima, a notorious city which will forever be recognised as the site for the world’s first atomic bomb deployment. The scars of such an event, which signalled the end of World War II, are always evident, particularly in the moving and beautiful Peace Memorial Park, where striking monuments and a museum recounting the events leading up to and after the bomb will stay with you forever. Better still is the opportunity to immerse yourself in Japan’s culture, from partaking in the favourite pastime of karaoke, feasting on some deliciously authentic cuisine – including sushi – or sinking into a traditional onsen, especially one perched on a refreshing mountainside. Our private tours combine the assurance of your own personal guide and transport with the flexibility to explore each destination at your own pace. All overnight accommodation and transport is organised in advance, and most tours use the services of a private car and knowledgeable driver supplemented enroute by local guides. Experience the sights and sounds of Japan on this spectacular journey to see some of the region's most renowned spectacles. Take a tour of the city of Tokyo where you'll see the impressive Imperial Palace Plaza before watching locals create at the Kyoto Handicraft Center. Over these 7 days you'll gaze across a city from the lofty Tokyo Tower, ride aboard the Shinkansen bullet train and get up close and personal with Mt. Fuji for the time of your life. Blaze a trail across Japan's beautiful landscape to uncover some of the most ancient cultures, traditions and flavours the region has to offer. 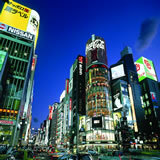 See the ancient structures of Osaka, visit the revered temples of Mt. Koya and create some souvenirs for yourself using ancient techniques at Kanazawa. Discover the sights and sounds of Japan on this in-depth tour of some of the region's most significant and impressive locations. Head to the top of the Tokyo Tower, visit the revered castles and temples of Kyoto and sample the food and culture of Osaka as you venture from one hotspot to the next aboard the speedy Shinkansen bullet train. From the heart of Tokyo all the way to the depths of Kyoto, get ready to experience some of Japan's most incredible locations. Uncover the sights and sounds of Tokyo's inner city before heading out to see the beauty of Mt. Fuji and Lake Yamanakako. Along the way you'll learn to make sushi, discover gold leaf painting and sample sake before finally getting to see the shrines and temples of Kyoto. A culture unlike any other, Japan arguably stands apart from any other destination in the world for its engaging blend of charming age-old traditions and quirky futuristic forward-thinking. 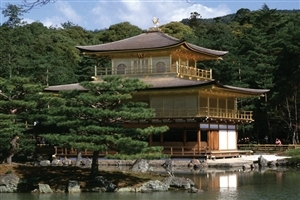 A Japan tour with Travelbag is an unforgettable opportunity to immerse yourself in this country’s striking extremes, whether you’re getting blissfully lost in Tokyo’s mammoth urban sprawl, finding peace amongst Kyoto’s sakura, experiencing a moment of reflection in Hiroshima or sampling an entirely new culinary delight. Never anything less than captivating, a Japan tour will take you to some of the world’s most iconic destinations, where the endemic charm of the people, the spectacular natural beauty and fascinating culture will leave you wanting more. For more information about Travelbag’s excellent range of Japan tours, call 0203 944 2201 to chat with one of our knowledgeable travel experts about creating the perfect Japan holiday for you. Nothing can describe the moment of arriving in Tokyo, a city that stretches further than the eye can see, dazzles all hours of the day and exhilarates from start-to-finish. The image of idyllic Japan, visiting Kyoto is an opportunity to witness exquisite shrines, stroll gloriously tranquil islands and possibly catch a glimpse at the elusive geisha. A spectacular image when viewed afar from the Bullet Train as it speeds past, the iconic Mount Fuji also attracts the intrepid adventurer looking to scale its lofty heights. A city etched in history as the scene of the first atomic bomb deployment, Hiroshima may have been rebuilt, but the scars of that moment make this an educating and moving visit. Resplendent with exquisite shrines and temples, Nara – near Kyoto – is also famous for the thousands of tame and friendly deer that frequent the large parkland. Book yourself a traditional Ryokan ‘Bed & Breakfast’ for a true Japanese hospitality experience. Ryokans are available across the country, but a stay on peaceful Miyajima Island is the perfect accompaniment. The Japanese take on the regular spa, onsens are plentiful in Japan, whether it’s simply a regular bathing house or an outdoor hot spring set on the mountainside overlooking glorious vistas. Japan is a beautiful country whichever time of year you visit, but none more so than during sakura (cherry blossom) season, which sweeps across the country between March and April.